I know a lot of you out there are thinking “Road rage. Huh. I feel like I should try that sometime!” but I’m here to implore you, no, don’t, don’t do it. 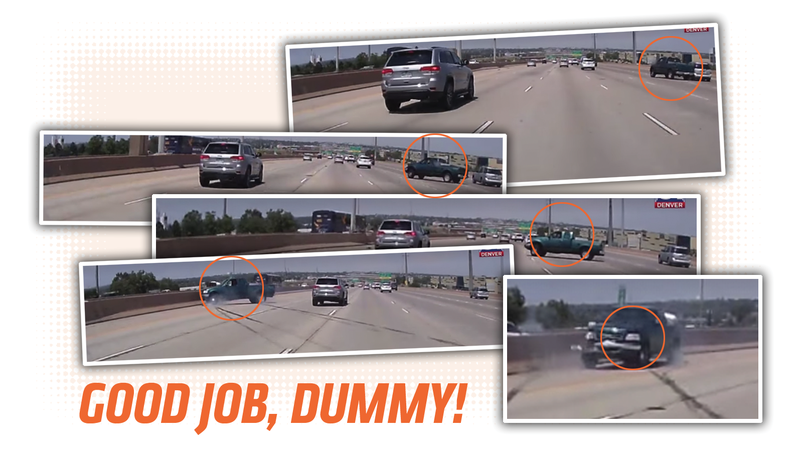 Getting so wrathful and angry over some bit of driving you didn’t like rarely does anyone any good, and, as in this incident in Denver, often turns out very, very badly for the road-rager. It’s not clear why the fool in the green F-150 attempted to hit that SUV, but I am pretty sure that whatever the reason was, it wasn’t worth any of this.